first! i’ve always wanted to say that… you know, despite what you may think people still want the sidekicks. I get one or two calls about them everyday with customers asking for them. Sharp and Danger don’t want to throw their profits down the toilet. They’re not going to just throw their hands up and stop manufacturing Sidekicks and selling services over the Danger server. They’re going to try and salvage their investment. Watch for (a)a promise that they have addressed the problem and that it will never happen again, and (b)some new and special way to market and sell the old devices. What cracks me up is that I’ve been telling everyone I’m switching from my Sidekick to a Blackberry because Blackberrys are more reliable… and now the Blackberry internet server crashes. Jeesh. You can’t win when it comes to electronics. Haha but at least it’s not just T-Mobile, it’s worldwide. Whether you like the Cliq, the BB 9700, or the Behold 2…all three of these devices are much cleaner and sexier than the sidekicker. The SK looks like a device that should be used in a war. 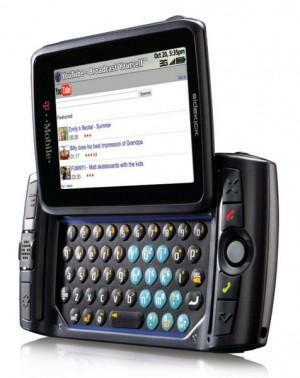 I got the BB9700 last night and I couldn’t put it down. I hope BB grows the Apps Market to win more non-corporate customers. I played with the Cliq for a while, and though I’m not a Moto fan, the touch screen was nice and the keyboard was very functional. I think TMo has a lot of great alternatives for the SK and the pipeline should get better with more 3G, touch, hybrid units to come. TMo should let the units come but focus on being a price leader and keep the units affordable and competitive vs the iPhone. My BB9700 comes in tomorrow, won’t be able to pick it up till evening :( awww man LOL But that is okay, I will be like all of you, cannot put it down ahhahaah. sidekicks in my opinion are good phones especially the new 09 SK but the cliq is amazing just wished it had a bigger keyboard for us men that what turned me off…… debating on behold 2 or the BB 9700……..
For what it’s worth, I am a big guy with big chubby fingers and I have not had any trouble typing on the bb9700 keyboard. The keys are slightly bigger than my old 8900 and spaced out just a little more. On the 8900 I was constantly hitting 2 keys at the same time, especially if I was in a hurry. I have had little to no problem with my new phone. It really amazes me how much difference there is. For me, anyway. I have large thumbs and I can type perfectly on the BB Bold 9700, though I do accept the fact that the Sidekick LX has one of the best, if not the best keyboard on a mobile handset. yeaa thats why im so like scared and idk i always think like twice about leaving my sidekick 08.
the keyboard is just amazingg, and for what i use it for.. AIM is amazing, quick texting and web browsing on espn and myspace, simple. ima give Danger another year or so to see if they come up with like a brand new updated OS, but ofcourse to keep the Jump Buttons and the Bubble Menu i call it lol, because simply, thats what makes a sidekick, a sidekick.